Guava super fruit with amazing properties rich in nutrients, the main ingredient in irresistible jams, known as amrood Hindi and scientifically known as Psidium Guajava. This is guava. This amazing fruit is rich in lycopene, vitamin C and antioxidants, which are beneficial for the skin. The fruit is also rich in manganese, folic acid and potassium. Eating guava, will keep the doctor away himself. With its intoxicating and intense sweet flavor, this fruit is popular not only because of its distinct taste, but also because of the health benefits it offers. Guava fruit is one of the richest sources of vitamin C. It contains four times more vitamin C than the same vitamin content in oranges. This helps improve immunity and protects the body from common infections and pathogens. It also reduces the likelihood of scurvy, where the cause is deficiency of vitamin C.
One day intake of guava can help patients who suffer from diabetes. There is a high level of dietary fiber. 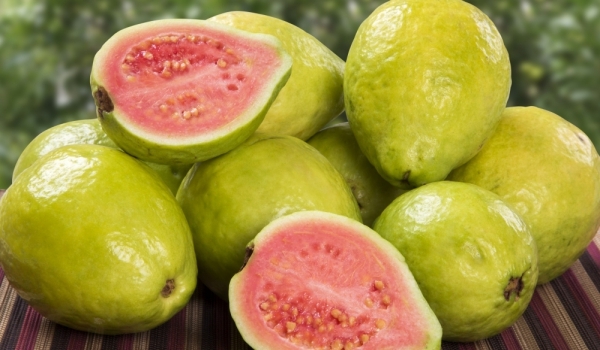 Guava helps control sugar absorption by the body. Studies have shown that the consumption of this super fruit can help to avoid the presence of diabetes type-2. 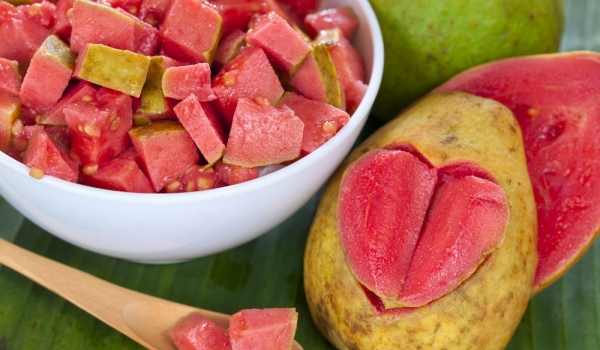 The high content of vitamin C and polyphenols in guava act anticancer and antitumor body. The oil contained in the leaves, has anti-proliferative agents. Used in modern drug to reduce tumor formation. Another benefit of guava is the presence of B3 and B6 vitamins, vitamin E, vitamin B3, which is also known as niacin, increases blood flow. It also stimulates cognitive function. Vitamin B6 did is great for nerve function. Therefore, eat a guava for better concentration and focus. Guava contains magnesium, which helps muscles and nerves in the human body to relax from the stressful and tiring day. Excellent tool to combat stress! It increases your energy and performance!